Fire Tower Treehouse Designs - Treehouse by DesignTreehouse by Design - So, you thinking about building a tree house? If you’re a true treehouse lover, you crave the thrill of sitting in a perch high in the sky, soaring above the earth. But what if you don’t have an appropriate tree to build in? Fear not, you can still have the lofty treehouse experience by finding or building a fire tower treehouse, if you will, sans trees. Fire towers were, and in some cases, are still used to detect fires before they burned out of control. This meant that the towers were situated in places like hill tops and mountain peaks to give the viewer a vast panorama for maximum early fire detection. From their heyday in the early to mid part of the last century, they have been largely replaced with satellite technology. Though most have been destroyed, some remain available for purchase or rent, meaning you can live in your very own fire tower treehouse without necessarily having to build one from scratch. This is the story of one couple who found the combination of isolation and panorama so compelling they quit their jobs and moved into a fire tower. They now live a simpler life more connected to nature. Their breathtaking view overlooks hundreds of miles of forest and gives them front-row-centre seats to celestial magic shows featuring the sun, moon and stars. 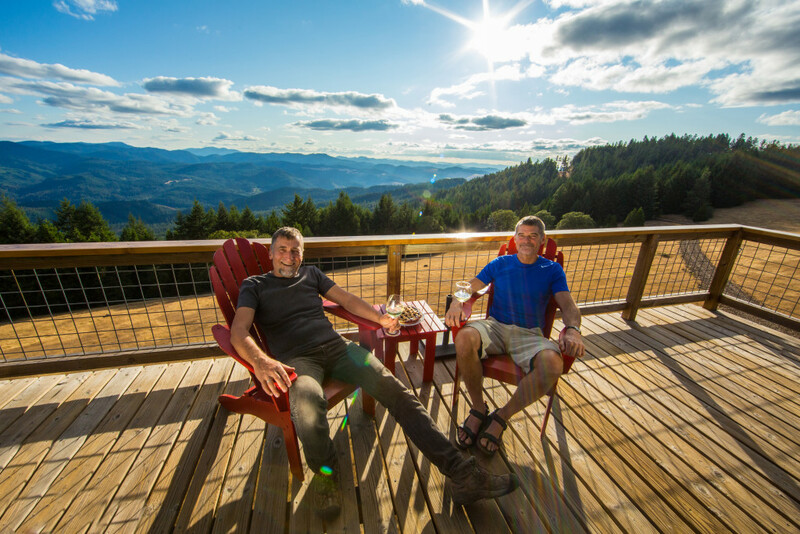 Seeing how Alan and Dabney live might make you want to rent, buy or build a fire tower treehouse of your own. In order to help you out, I found a a website full of fire tower locations, rental info, and pictures for you to base your own designs on. If you happen to be in the US, you can check out this government site listing fire towers available for rent across the country. I also found some FREE public blueprints which will give a professional builder a basis for creating classic fire tower treehouse designs. The site makes it clear, however, these historic designs do not necessarily comply with current regulations. One important thing to keep in mind is that fire towers don’t come standard issue with bathrooms. You either have to add one to the plans or get creative with your waste like Alan and Dabney did. If you end up using these blueprints to build a fire tower treehouse of your own, or if you end up renting one, please send us pics! « Is Your Treehouse Illegal?